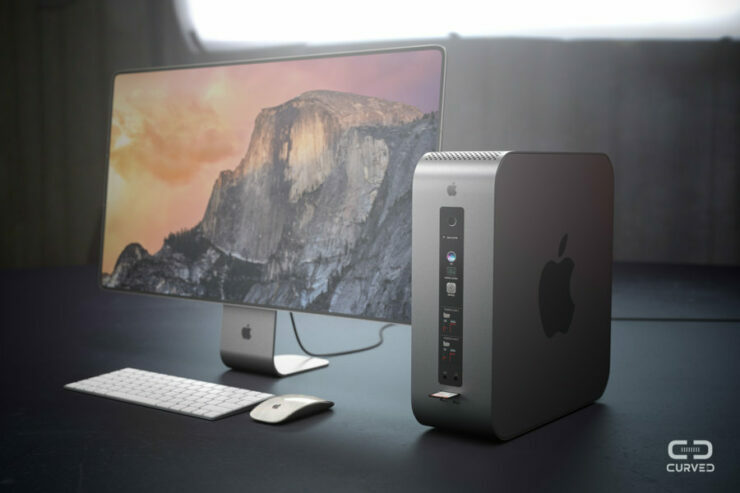 Apple’s executives announced that the next Mac Pro was going to feature modularity, most likely to help users upgrade components seamlessly for maximum performance. 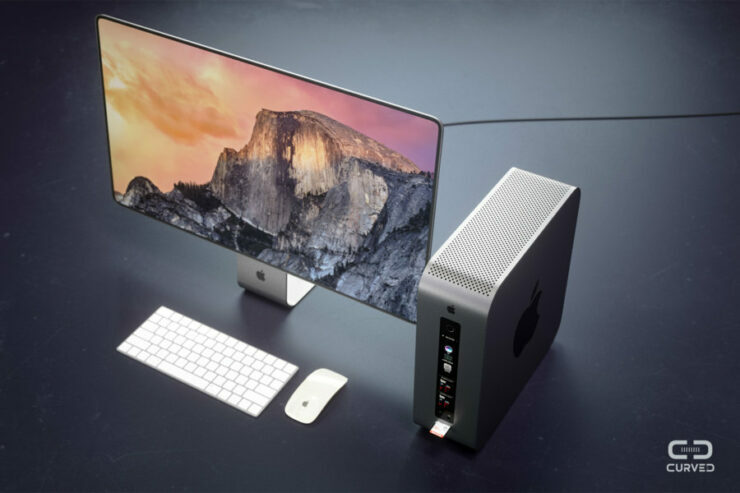 There was also a rumor stating that the company was going to roll out an external display that would be touting an 8K resolution, but it looks like you guys are going to be the first to witness both products early thanks to the latest concept. 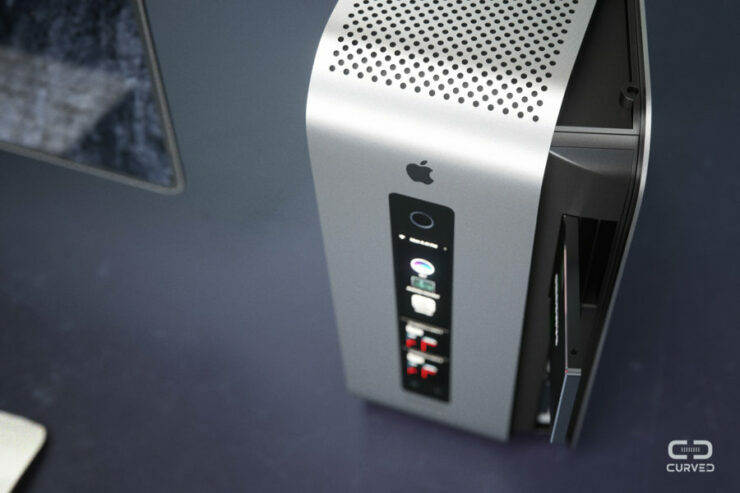 The creative guys put their hands to work and produced some brilliant results, as you will soon find out. 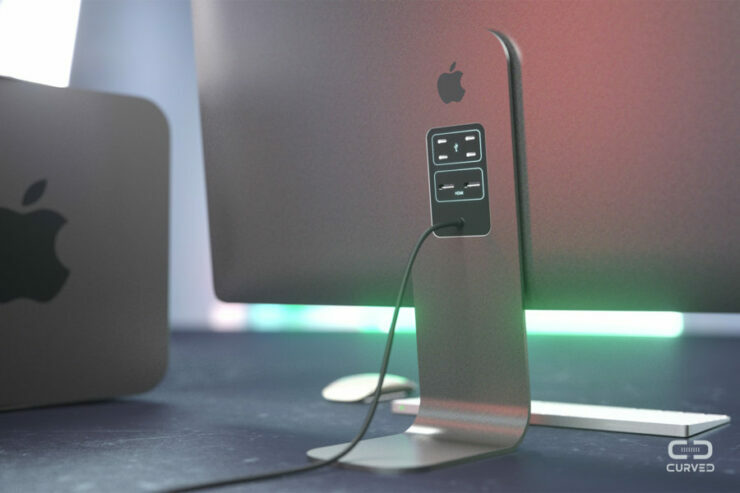 Apple’s external display shows a slew of Thunderbolt 3 ports (we are under the assumption that its Thunderbolt 3 since we’re living in 2017 and its slowly but surely becoming a readily available port in modern-day machines), which can be used for a variety of things, ranging from attaching peripherals, to transferring data and hooking up another display to extend the total screen real estate for the ultimate productivity setup. 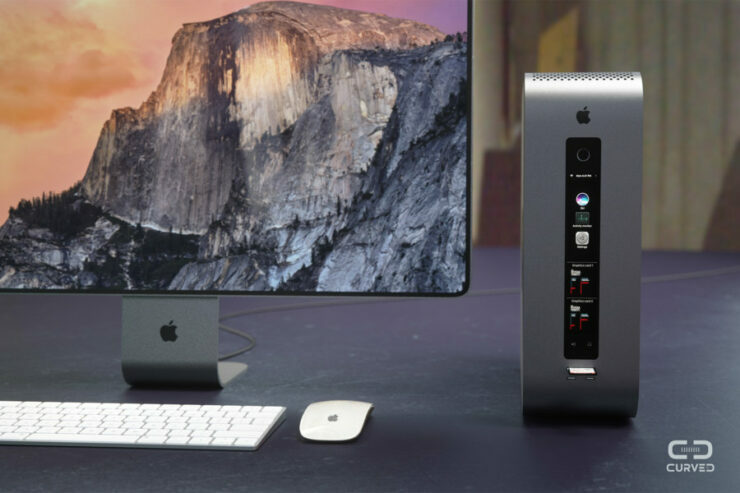 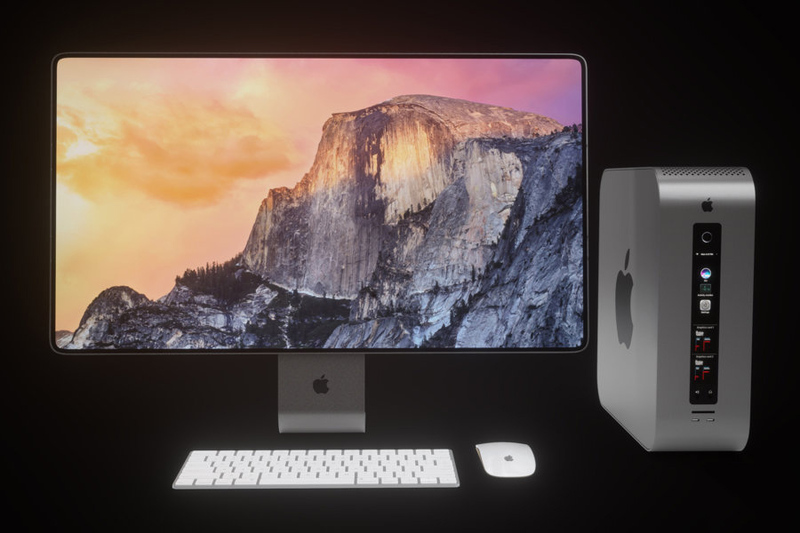 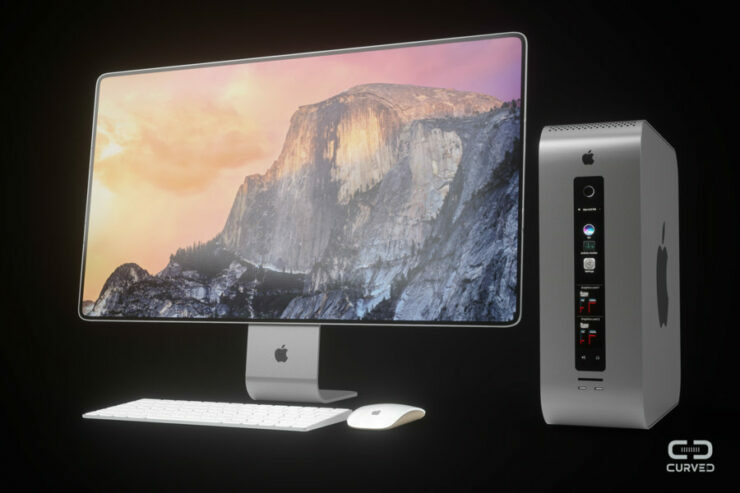 While we are definitely excited to see what Apple has in store for the public if it is working on its external display, the real crown jewel is definitely going to be the Mac Pro. 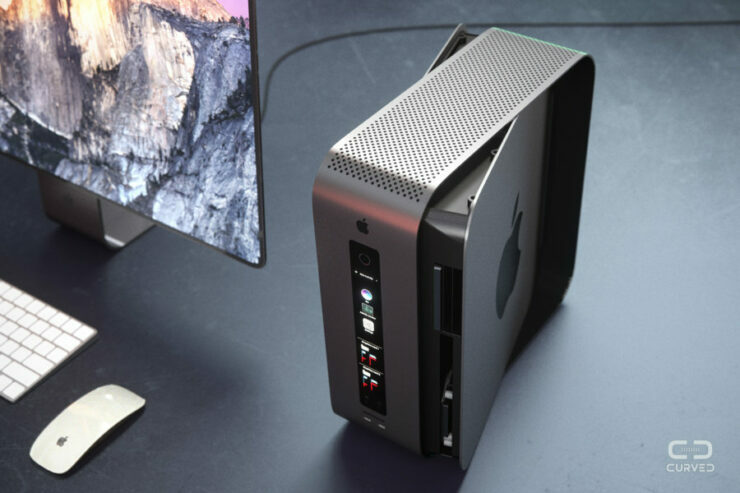 Apple has not detailed what sort of modularity it will be touting, but if it is the same way PC builders assemble their parts to put together a machine, then it will definitely be a godsend for millions of future Mac Pro enthusiasts. 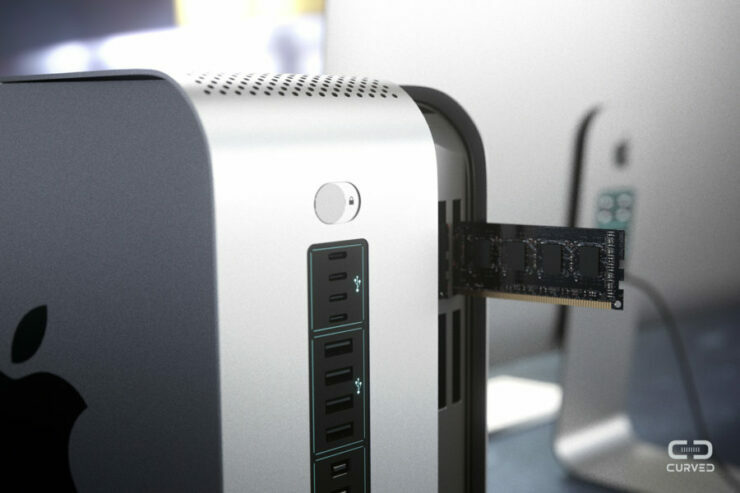 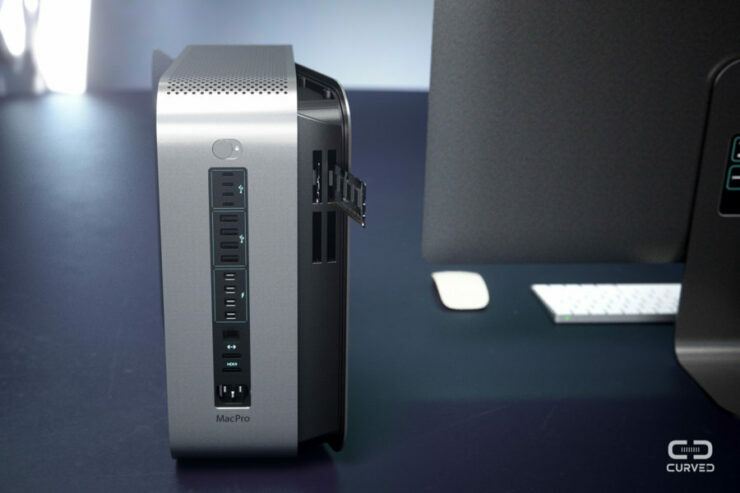 As you can see in the images courtesy of CURVED, the modular Mac Pro also comes with its own Thunderbolt 3 ports and a variety of other inputs where the I/O is present. 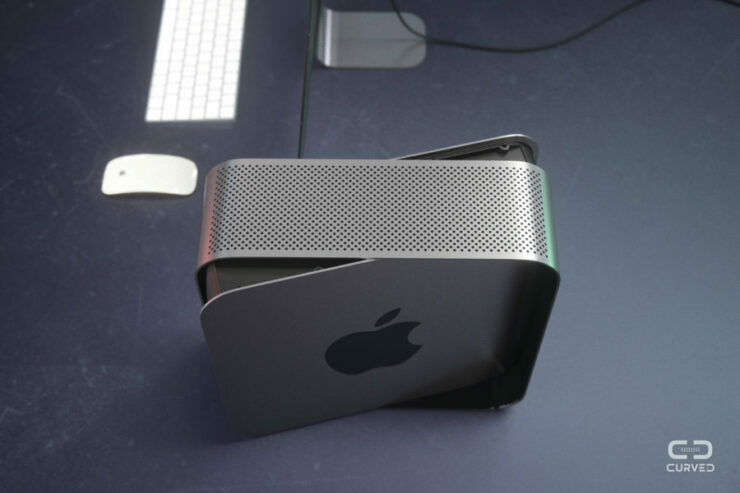 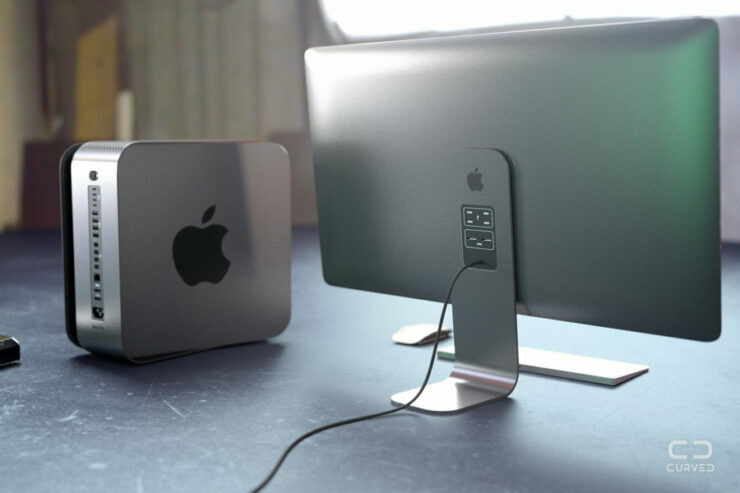 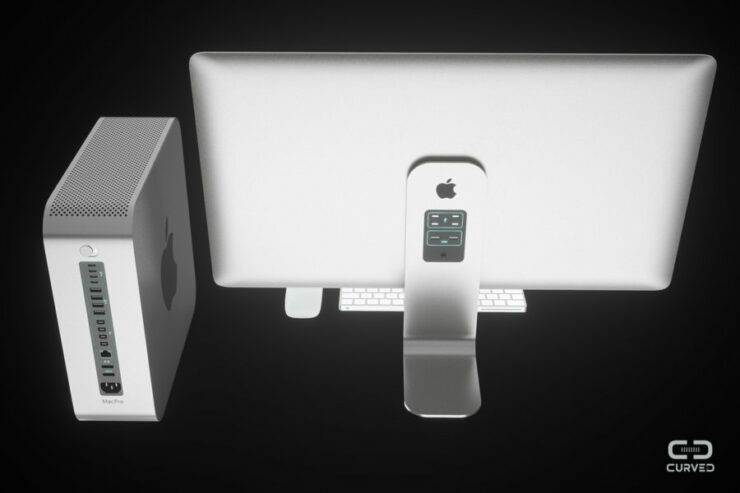 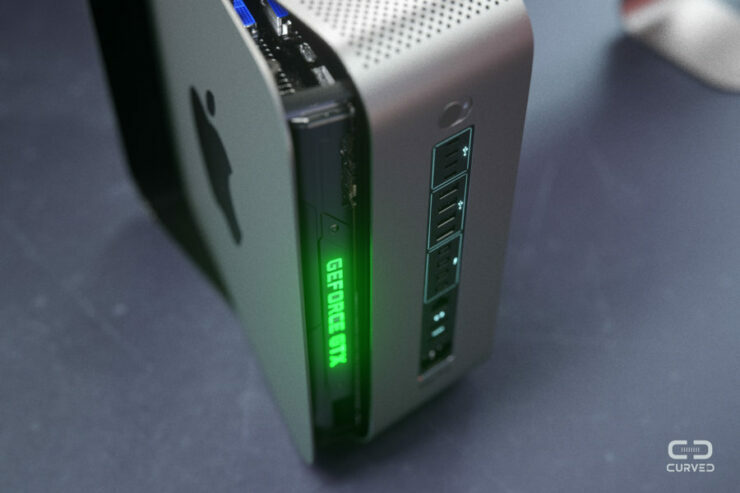 However, the form factor is extremely small, making it smaller than the 2013 Mac Pro. 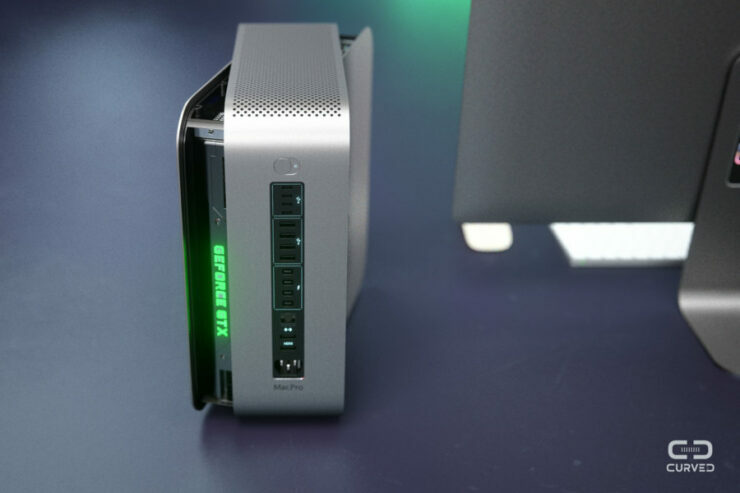 However, both sides of the machine can be opened, revealing key components such as the RAM, SSD storage and most surprisingly, a desktop-grade NVIDIA GPU that’s surprisingly labeled under the ‘GeForce GTX’ brand. 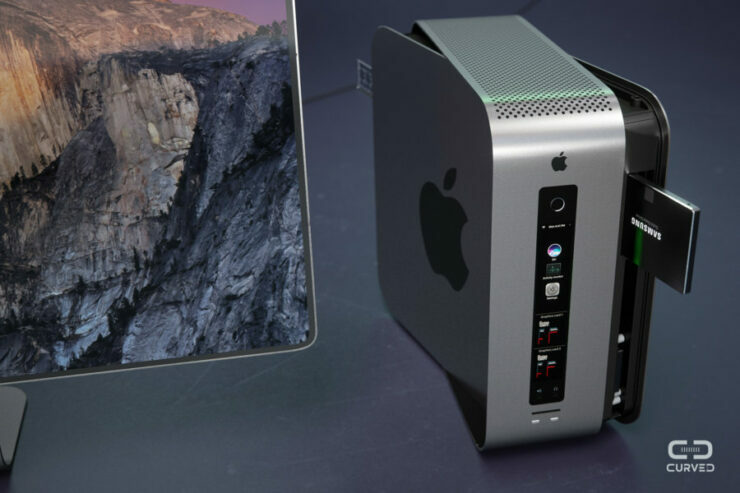 Since this machine is going to be sold under the workstation category, we were hoping that this concept put a little more attention to detail because firstly, Apple does not use SATA-based solid state drives, but PCIe-based ones and the GeForce GTX GPU should have been replaced with a Quadro processor instead. 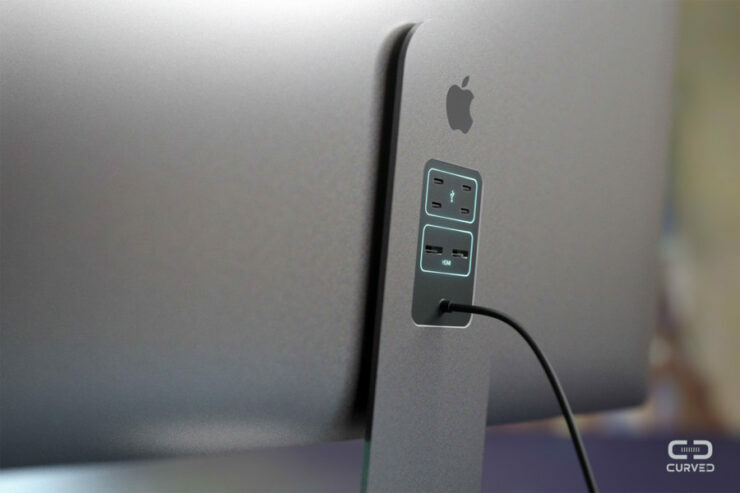 Regardless we hope that Apple takes some pointers from this concept and releases a similar product to the masses.